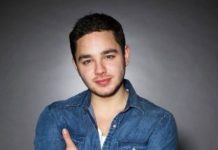 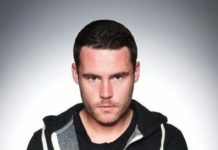 EMMERDALE EPISODES: Kerry is on to Bernice when she gets suspicious of her affair, April reveals a secret, Ellis gets the brush off, Ross suggests a new start, a mystery woman accuses Leyla of theft, Cain considers confessing, and Debbie gets bail but her future is bleak. 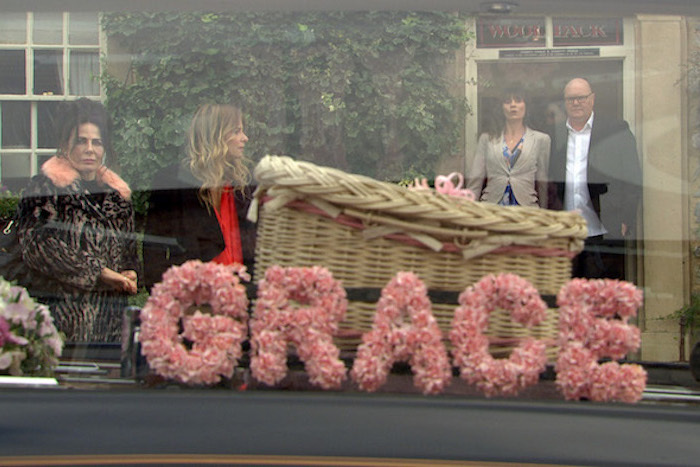 Baby Grace’s funeral arrives and is an emotional day for those who attend – as well as those that don’t. 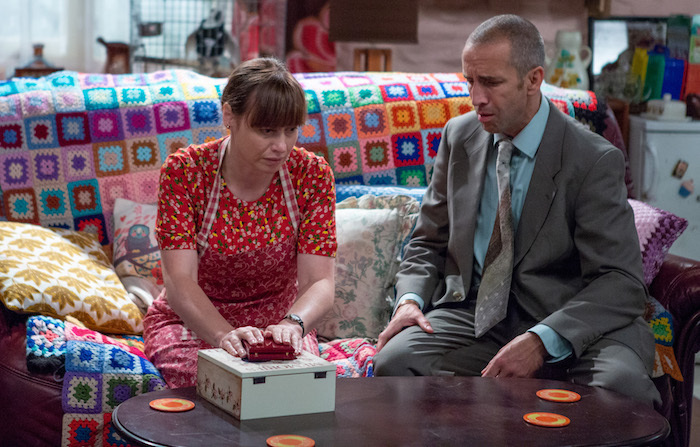 Mon 22 Oct 2018: A scheming Kerry Wyatt takes secret tanning bookings behind Bernice’s back. 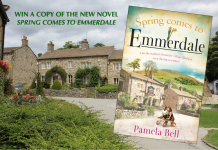 Mon 22 Oct 2018: Bernice Blackstock and Liam Cavanagh enter, begin kissing and she drags him upstairs. 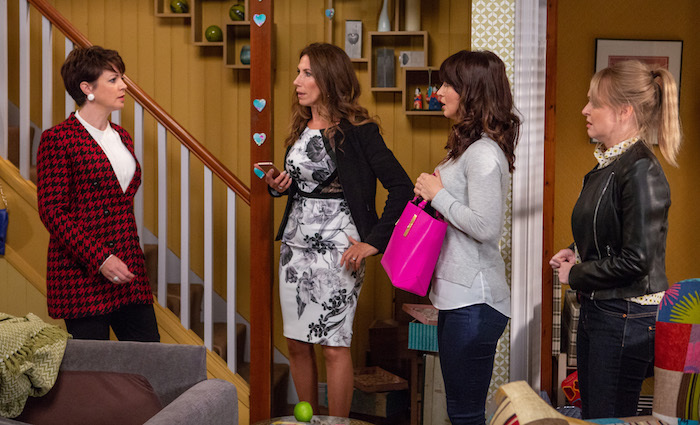 Mon 22 Oct 2018: April Windsor tells Rhona Goskirk and Marlon Dingle the reason Leo is being left out at school. 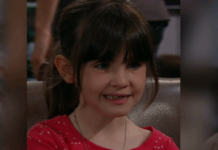 Mon 22 Oct 2018: April Windsor reveals Leo keeps hitting the other kids and gets special treatment at school. 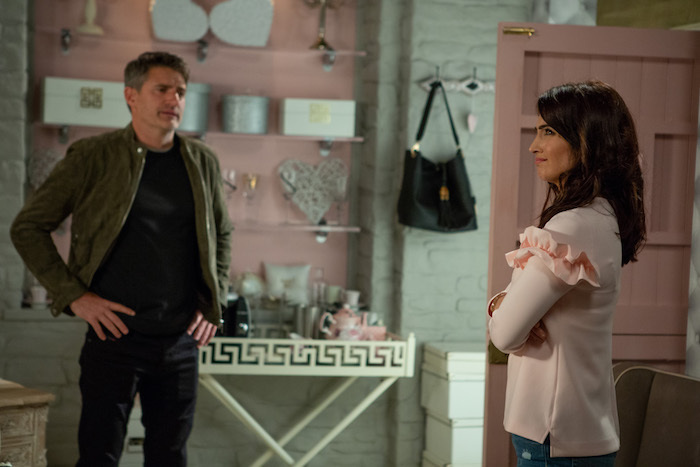 Mon 22 Oct 2018: Ellis Grant comes to hang out with Victoria Barton at work thinking they’re now a couple. 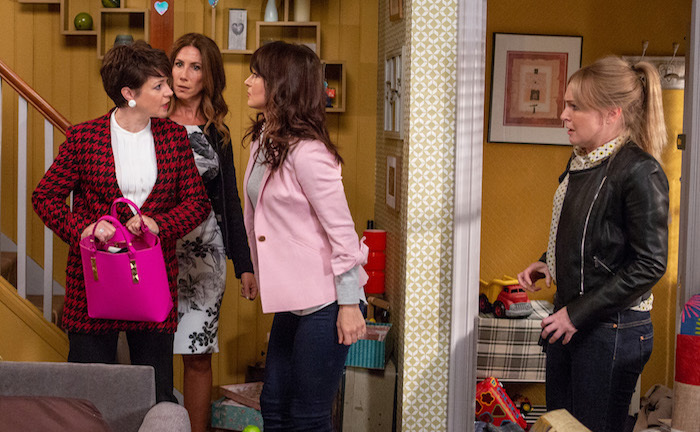 Mon 22 Oct 2018: Ellis Grant is privately stung when Victoria Barton tells him that she isn’t looking for a serious relationship with him. 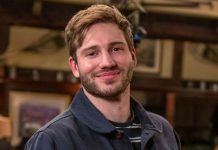 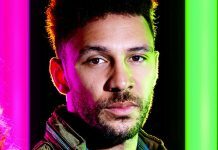 Tues 23 Oct 2018: Will Bernice Blackstock’s affair be outed and will it end in heartbreak for Daz Spencer? 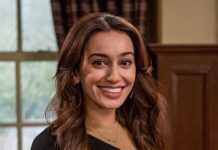 Tues 23 Oct 2018: Leyla appears to know who the mysterious woman is. 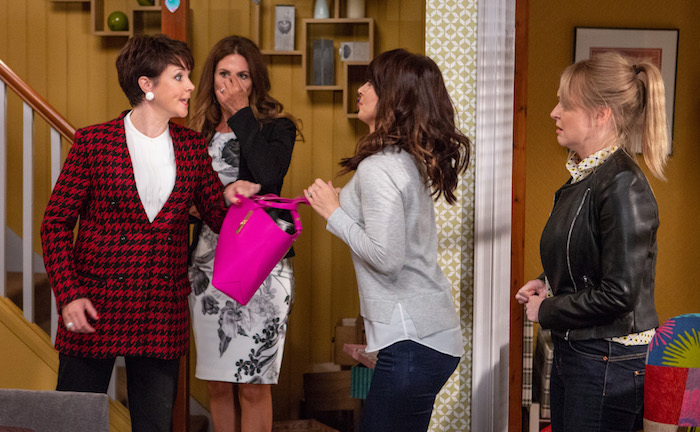 Tues 23 Oct 2018: Suzie makes a grab for Leyla’s handbag. 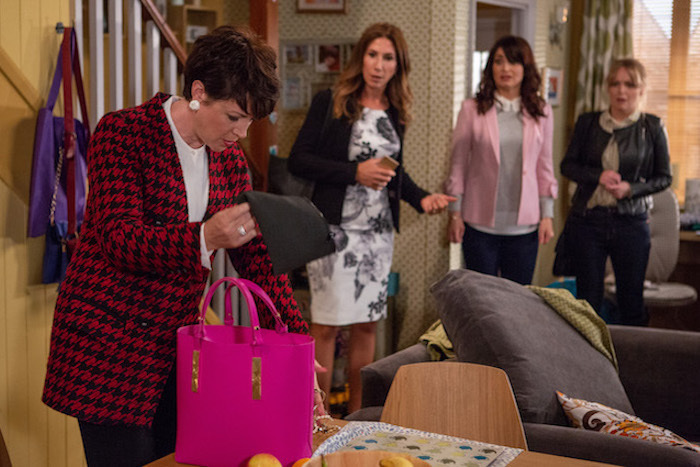 Tues 23 Oct 2018: A load of jewellery spills out of Leyla’s handbag. 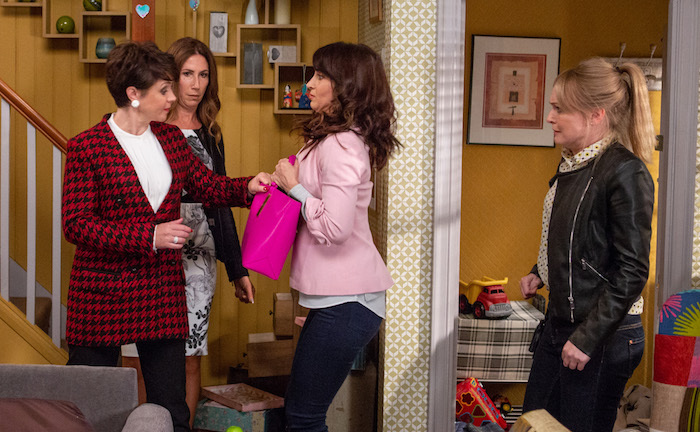 Tues 23 Oct 2018: What is Leyla’s excuse for having a wad of cash and some jewellery? 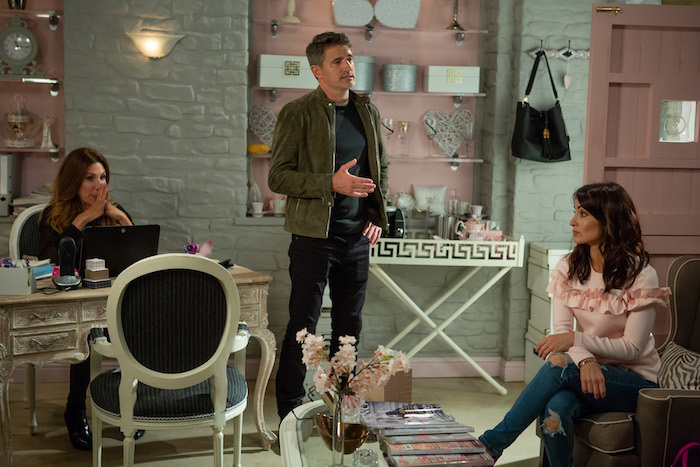 Tues 23 Oct 2018: Suzie declares that Leyla stole them along with her fiancé, Clive. 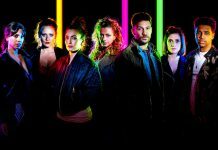 Wed 24 Oct 2018: At Take a Vow, Megan Macey is fuming when clients start to cancel due to Susie’s scathing review about Leyla Harding. 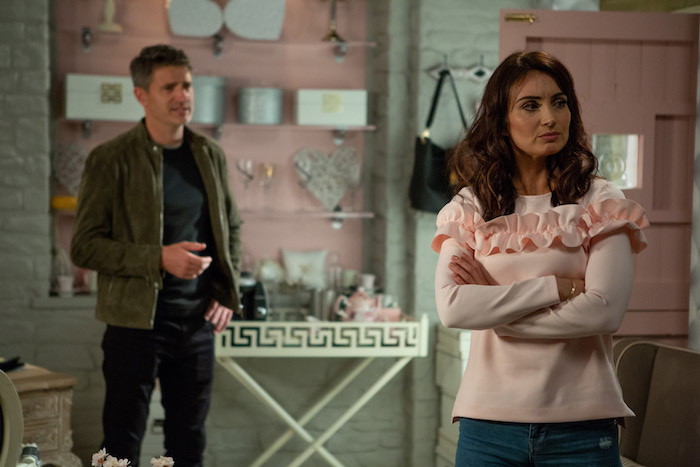 Wed 24 Oct 2018: Leyla laments over Clive and then gets angry at herself for believing that he loved her. 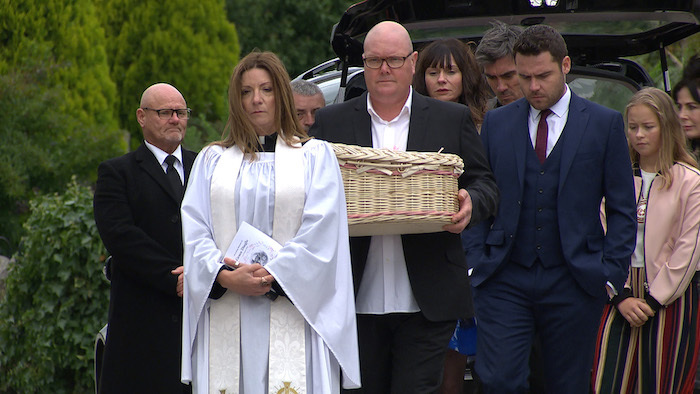 Thurs 25th October 2018 – 7pm: Its the day of Baby Grace’s funeral in Emmerdale. 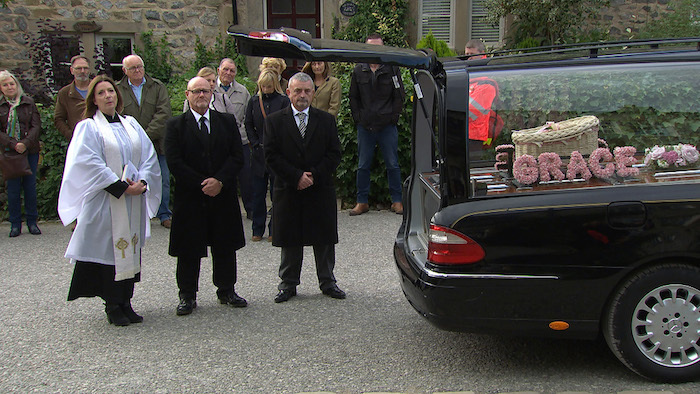 Thurs 25th October 2018 – 7pm: Chas Dingle and Paddy Kirk are overwhelmed to see the villagers lining the street towards the church. 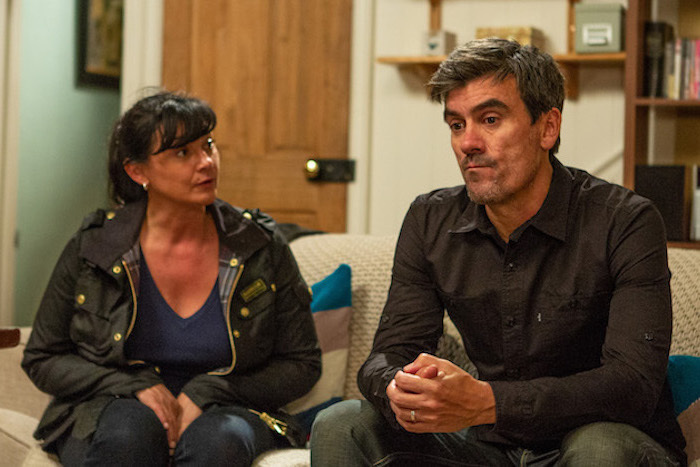 Thurs 25th October 2018 – 7pm: Chas and her family make the painful walk towards the church. Thurs 25 Oct 2018 – 8pm: Lydia Hart opens up to Sam Dingle as to why she couldn’t attend Grace’s funeral. 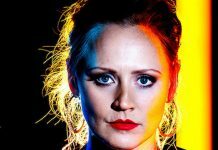 Thurs 25 Oct 2018 – 8pm: What secrets is Lydia Hart hiding and how much more is there that Sam doesn’t know? 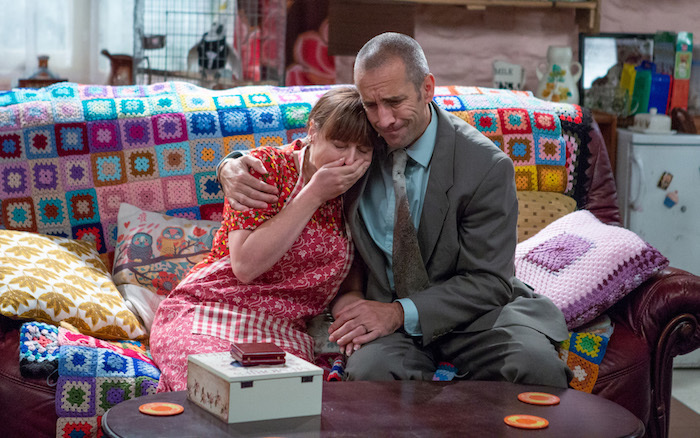 Thurs 25 Oct 2018 – 8pm: Sam Dingle comforts Lydia Hart as she reveals more about her past. 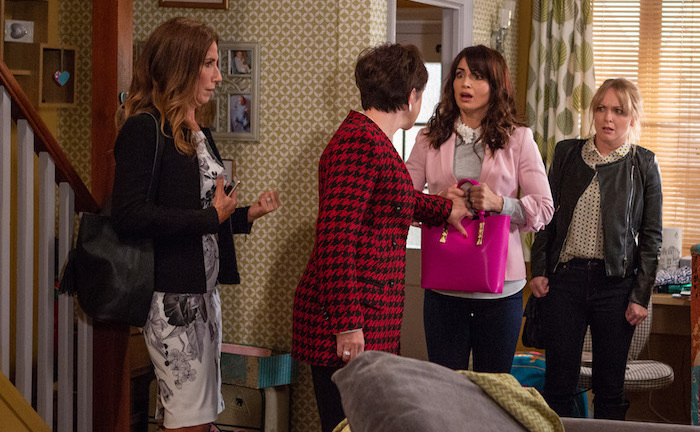 Fri 26 Oct 2018: Debbie Dingle is shocked when her solicitor tells her that she has been given bail and can go home. 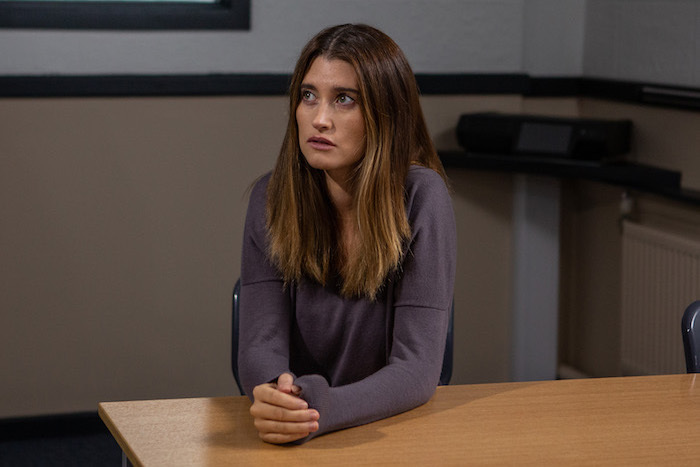 Fri 26 Oct 2018: Debbie Dingle is alarmed to hear that she could be looking at five years in prison. 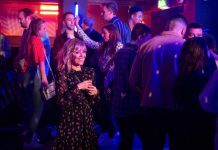 Fri 26 Oct 2018: Debbie Dinglesobs in earnest at her doomed future and what that means for her children.